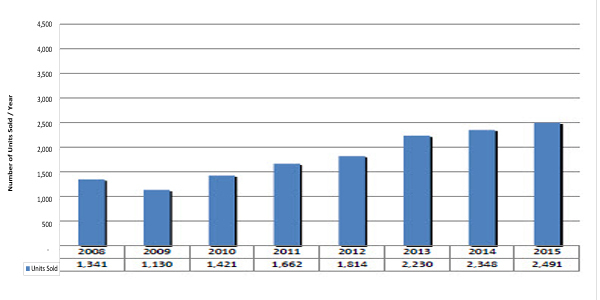 Real Estate sales in the Park City area for the 2012-2013 ski season increased dramatically from the previous ski season. Resort skiing at Park Citys three Resorts has ended for the season although the snow continues to fall. It is typical spring weather as we move from 50 degrees to a blizzard and back again in a 2 day period. The Park City Chamber of Commerce Convention and Visitors Bureau statistics show that lodging nights were up for the season and city hall has reported higher tax revenues. Park City area real estate sales were right in step. While inventory levels are at their lowest in years, sales for the ski season increased and so did prices. Total sales for this past season (homes, condominiums and building lots) were up by over 25% from the previous year. The largest jump in sales was in building lots with 99 sales, nearly twice the 54 from the previous season. Low inventory and lower building costs have something to do with this as buyers gave up and have decided to build after home searches did not satisfy their desires. Distressed sales in the Hideout Canyon area made up 15% of the lot sales in the Park City area for the season. The median value of the building lots that sold remained steady with the previous year at $325,000. 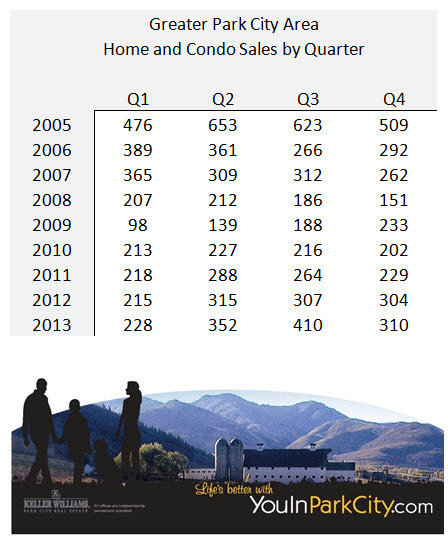 Park City Condominium sales jumped nearly 20% while the median sales price rose by over 10%. The Old Town area lead the way with 50 condominiums sold during the ski season with a median sales price of $500,000. The overall Park City condominium market had a median sales price of $402,500. New construction sales near the Jordanelle Reservoir were also very strong. Sales of single family homes for the ski season were also up from the previous year with a 12% rise in sales volume and a 10% rise in the median sales price. The Park Meadows area of Park City lead the way in sales with 22 and an average sales price approaching $2M and a median price near $1.5M. Single Family home sales in the other parts of Park City were also strong with the median sales price rising to $864,000 from $790,000 last year. This data has been derived from sales statistics as posted on the Park City Board of Realtors MLS using only statistics involving single family homes, condominiums, and vacant land in the greater Park City areas (1-23) for the periods of December 1st to April 15th of the past 2 ski seasons. Data is considered accurate, but not guaranteed. Posted in buyers, Park City Real Estate Notes, Park City value, sellers | 0 Responses to "Ski Season Home Sales in Park City, Utah 2013"
Interest rates have an effect on the national economy and while real estate is always local, no two markets are totally detached from one-another. Peoples' ability to buy and sell in their homes or investment properties in other cities affects their ability to buy in Park City. Moves by the Federal Reserve affect mortgage rates, but not always in the way people think. 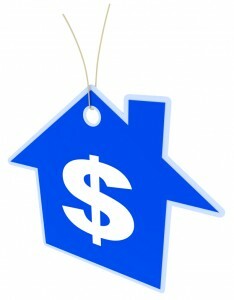 The following is a well written piece from a local lender trusted by the YouInParkCity.com group. Posted in Park City Economy, Park City Real Estate Notes | 0 Responses to "Fed Funds Rate"